The mother of a deaf schoolboy who had his hearing aid torn out and stamped on by a gang of bullies has said they should be ‘ashamed’. Speaking for the first time about the incident, Simone Carter has condemned the youths who attacked her 10-year-old son Alfie last month. A group of six older boys chased him near his home in Beechdale, Walsall, beat him up and then took his hearing aid out before destroying it. The unprovoked attack took place on Lister Road between 6.15pm and 7pm on September 28 and also saw Alfie kicked and stamped on by members of the gang. The Bentley West Primary School pupil has been deaf since birth and relies on his hearing aid and sign-language to communicate. Elena Bulfone - Cultural life and museums of people with cognitive disabilities from Ranofilms on Vimeo. What are the most useful and effective things to promote participation in the cultural life and museums of people with cognitive disabilities or learning difficulties? Compared with other disabilities, people with cognitive disabilities and learning difficulties are not sufficiently taken into consideration. This approach has historical reasons, since the focus has been addressed primarily on people with mobility impairments, on wheelchairs, and therefore on physical accessibility, and on people with sensory disabilities, like blind and deaf people. Today, people with cognitive disabilities are more numerous than all other types of disability and express a wide range of needs. It is important to take care of this reality, because, by taking care of people with cognitive disability, we actually open up accessibility to all those people who in everyday life have these kinds of cognitive difficulties and disorders, and I think for example of people with learning difficulties. I also think of all those people with an educational gap, to foreigners, to nursery and primary school children, and to the elderly, or to people with dementia. Therefore, it is really important to use plain language. And when I talk about plain language, I actually talk about something extremely complex. Simplifying language is not simple. It cannot be done by anyone. It is a job that needs to be done by experts. And I'll give you an example: if I want to simplify a sentence, I mustn’t use pronouns, but the proper names of the things I want to mention; and then I must use simple verbs and objects so that they can be understandable for people with cognitive disability. This kind of work takes a lot of time and it isn’t often accepted by people who deal with culture, because this plain language adopts sentences too simple and with “no frills”, maybe even a little redundant in its prosody, but it is fundamental to do this work if you want to be really accessible. NHSGGC BSL act long term plan presentation from Paul Hull on Vimeo. It's sad to see the national health service endorsing people like the British Deaf Association which has next to no grass root signing support and insists deaf people do not need captioned access as well Not even for other deaf who sign. Their relentless mantra of deaf don't speak, can not read or want English, and deaf don't want text access rambles on and on, and seriously undermines access requirements of most patients with deafness and loss. The majority who don't enjoy ANY of the access they are being given, because it isn't signed. This is what happens when you give extreme minorities to much rope. Awareness goes down the pan. We should perhaps throw in the usual garbage about how the European Union is the new Shangri-La too. There is already too much inequality being generated in the USA. Social media of the disability ilk throws up some weird responses to access situations and rights, and lately, attacking the UK's health services is just one of them. Almost as much of a conundrum as the deaf ones but not quite! One poster suggested the European Union support for health areas to recognise all sorts of religious 'fads and fancies' (Thank goodness at least we aren't yet allowing their goats in to hospitals), was one positive of the European Court of Human Rights, (An area the UK is due to pull out of, because its a joke and staffed by a lot of very dubious people whose ideas of equality and rights endorses wholesale discrimination against the less popular cause celebs). With a 100m population comes 100m issues of discrimination. Equality means we are own charities and own focus group! UK media is now publishing adverts for a charity that helps homosexuals, and trans people since when is that issue needing one? They are charity cases now? Their issue is acceptance or something and believes begging for money on the streets will enact a charity to raise awareness they are having problems. They aren't daft, donor areas are always willing to support offbeat areas like those and banning petrol or something. They fail to appreciate most of us have switched off from it all really. We can't be bothered or have the means to support every one of them, which we see as meaning genuine areas are losing out. Charity is dead or should be, we should also be lobbying to end those because the contain vulnerable areas to a lifetime of pity and reliance of others. The deaf answer to that was to move the goalposts but still carry on with the same approach. They call it a culture and not a language issue or both, or a language issue and not a disability but demanding the finance that comes with it, or a... (You get the drift). The simple answer is that deaf people need support and right of access, so do disabled people and both are entitled to protection from discrimination, we really don't need the hoo-ha that is included in that. In actuality we have such laws, but not worth the paper it is printed on. But, we have the technology! (We create yet another charity, and wheel out some worse cases for sympathy!). It is as bad as those charities raking in money for deaf children, labelling them pretty pathetic and needy too, despite the issue is of the state removing their support, and there is no way a charity can supplement that or should be because their educational support and adult needs are already a right in Law, but there you go paper laws do not a right make and it is easier to NOT address the issue because the state will dump everything on them if they are too successful, then sods law will ensure it all goes down the pan after a year.. BSL people know full well because although the EU endorsed sign language in 2005, there is no law in education to actually enforce its use still. All these lobbies do is create more focus groups desperate to find discrimination in everything. Enough snowflakes to create constant avalanches. The EU has benefitted us! they have insisted our hospitals accept the religions of different persuasions. They always did. Drs and Nurses treat the person but not their lifestyle choices and always have, its not their job to play the role of government. They perhaps do draw the line at some rituals taking place because it disrupts care they provide for others, that isn't discrimination. It's a shame some patients aren't recognising what the NHS is for, it's certainly not an 'aunt sally' for the latest cause celeb or there to do what the state cannot itself i.e. enforce rules and laws properly. Any idiot (And Westminster has 600+ of them), can make a noise and create a new Law and Act on our behalf, and the EU does this 100s of times every week, the problem is they have disempowered our ability to get those laws enacted (Or they are just lip-service and enactment is left to whoever makes the most noises). Every issue of discrimination has to be fought on an individual basis, what is discrimination varies by the minute, and win or lose that result ONLY affects that individual, a precedent doesn't mean all in the same boat get the benefit of it. 'Each according to need is bollox', is the classic example of equality and access laws being not only totally ignored but openly challenged, is to look at the DWP (the state arm of welfare, dedicated to making people homeless, poor, and without support, even causing premature death by so doing), and rabid right-wing media, (empowered by state assaults on disabled via labelling them a drain on the 'working man' or 'frauds cheating the taxpayer' which pits able bodied against the disabled via a blame culture. The DWP can and do ignore the law every day. Have more power at their fingertips than the Police or the armed forces. Between #metoo and '#upyours, I think we have reached a saturation point on who gets the best legal/global deal, and the disabled must look to themselves as a group and no longer as individuals. Hashtags don't solve issues. This applies to deaf areas who are pitting themselves not only against discriminators of the systems but against others with hearing loss too, via language, modes, norms, cultural difference, oral use, any bloody difference... whilst the system sits back with popcorn egging them on. Divide and rule is as old as the hills and still works for the wrong people. Disabled are talking the talk, but unable to walk it. The Deaf are marching backwards as fast as their limbs allow. What wasn't identified is the sole area to blame for labels and perceived 'norms', the activists of the cultural signing minorities who use culture as a blunt tool/means of penning deaf people into a community of inequality and to 'adopt the position' as defined by them. All that alongside of the nonsense of Deafhood and pseudo-academic and unfounded claims of rights and language are just a few other things that are gross distortions of fact and not any priority amidst most of us. By far, most rank and file people with deafness and hearing loss, are frustrated at the direction of awareness these people are relentlessly flooding online with that bear little or no relation as to who we are, what we need, real awareness of what we use, or recognition of ourselves as individuals, and not a collective, hell-bent on living in some parallel universe as some weird idea or real independence enabled by a lifetime of reliance on others whilst undermining our support at the same time. They are banking on the majority remaining silent because if they weren't deaf culture would cease to be in its present form. It is always welcome to see an image of a deaf person that doesn't start with sign language too, as this image is one many deaf activists are trying to bury and suggest is a minority when it is the actual majority. They work on the basis those who don't sign are against deaf people or are even those hated 'Oralists'. We DON'T hate people who can speak, we don't hate people who don't sign, we don't attack others who use alternative or medical interventions. Because we respect choices and realities. The fact few real choices yet exist enables these outcasts to thrive, but that won't always be the case. For 15 years, James Anthony, who is deaf, has cleaned the halls of Hickerson Elementary School in Tullahoma, Tenn. But on Tuesday, a group of kindergartners gave back by surprising their beloved “Mr. James” with a surprise chorus for his 60th birthday — through sign language. The adorable video was shared on the Hickerson Elementary Facebook page, where it was seen more than 100,000 times by Thursday morning. “Our Kindergarten classes learned how to sign Happy Birthday for Mr. James’ birthday today. He was so surprised!” the school wrote. The video shows Anthony walking into a classroom as a group of kids begin singing (and signing). He starts off smiling, then his jaw drops open and he puts his hands to his hand and laughs for joy as he realizes what’s going on. A few adults lead the kids through the whole song as Anthony watches, a wide smile on his face. As they finish, wipes tears from his eyes. “He was overwhelmed with it. It just was a spur of the moment thing and they just did it. He had his hands over his face, at the end he was tearing up. It just touched him,” Hickerson Elementary secretary Bonnie Scott said in a phone interview with McClatchy. The kids at Hickerson Elementary love and respect Mr. James, Scott said. They give him high fives in the halls, and he even teaches them sign language sometimes. “We’ve seen him sign a couple of times with the little ones who don’t communicate well, and they’re learning sign language with him,” Scott said. As Anthony’s birthday approached, teachers Amy Hershman and Allyssa Hartsfield decided they were going to organize the surprise, NewsChannel5 reported. “James is awesome and is always saying how much I put a smile on his face, but today he has definitely put smiles on faces all around the world,” Hartsfield said, according to the station. Hickerson Principal Jimmy Anderson said Anthony teaches the kids “good manners and how to treat other people,” according to Fox 17. He’s worked in the county for more than 20 years, The Tennessean reported. People on social media were moved by the video and wished Mr. James a happy birthday as well. What can you do about hearing loss? When are we going to have classes where deaf people learn to more effectively communicate with hearing? This awareness does seem rather one-way and singular in approach and does not suggest the Deaf have to make any real effort themselves, indeed, suggests we are incapable.. So why is there a sector of deaf activism opposed to this access? We are delighted to see that hearing loss has been given a priority in the latest guidelines from the National Institute for Health and Care Excellence (NICE). The section entitled ‘Hearing Loss in Adults: assessment and management’ covers some aspects of managing hearing loss in primary, community and secondary care. The guidelines offer advice to health-care staff on assessing hearing difficulties, managing ear wax and when to refer people for audiological or specialist assessment and management. They cover adults aged over 18 years of age and can be a useful source of information for people with hearing loss, their families and carers. To read the guide in full visit HERE. NICE include referral recommendations for when adults present with sudden onset or rapid worsening of hearing loss, in one or both ears, which is not explained by ear wax or middle ear causes. This can be a medical emergency should be investigated further. We welcome the advice on clinical ear care (Wax removal) which highlights the importance of only using practitioners who have had training and are experts in this field. At Aston Hearing, our qualified specialist offer micro-suction as a safe, gentle method of wax removal which is endowed by NICE along with ear irrigation as an alternative. They highlight that ear syringing should not be used and patients should never try to manually remove wax by inserting any object into the ear canal. This can cause more lasting damage to the ear and hearing. There is also information on follow up care and how to access additional help and hearing dives if appropriate. What is “Special” about Special Education for Students who are D/HH? from RMTC-D/HH on Vimeo. Resource Materials and Technology Center for the Deaf and Hard of Hearing (RMTC-D/HH) demystifies the confusion of the relationship between Specially Designed Instruction, Expanded Skills for Deaf Hard of Hearing (ES-D/HH) (also known as Expanded Core Curriculum), Universal Instruction, and Response to Intervention (RtI) within a Multitiered system of supports (MTSS) for educators developing, improving and maintaining systems of support for all students. Teachers can easily be overwhelmed with all these initiatives and how to apply them in their instruction of students. This training will give you a brief overview of how these research-based practices all work together to improve student outcomes. Then participants will explore resources to drive instructional practices and service delivery for individual students who are deaf and hard-of-hearing. Finally, brief examples will be included on how to incorporate the information in a communication plan and an IEP. Maybe stop them learning too? But that would mean no deaf get support who use ASL... and deaf children failing to get an education. Practically the deaf community hasn't the teaching staff or qualified people to go it alone, this old chestnut was mooted in the UK and dropped for that reason. Creating demand for deaf teachers with English backgrounds wasn't possible. 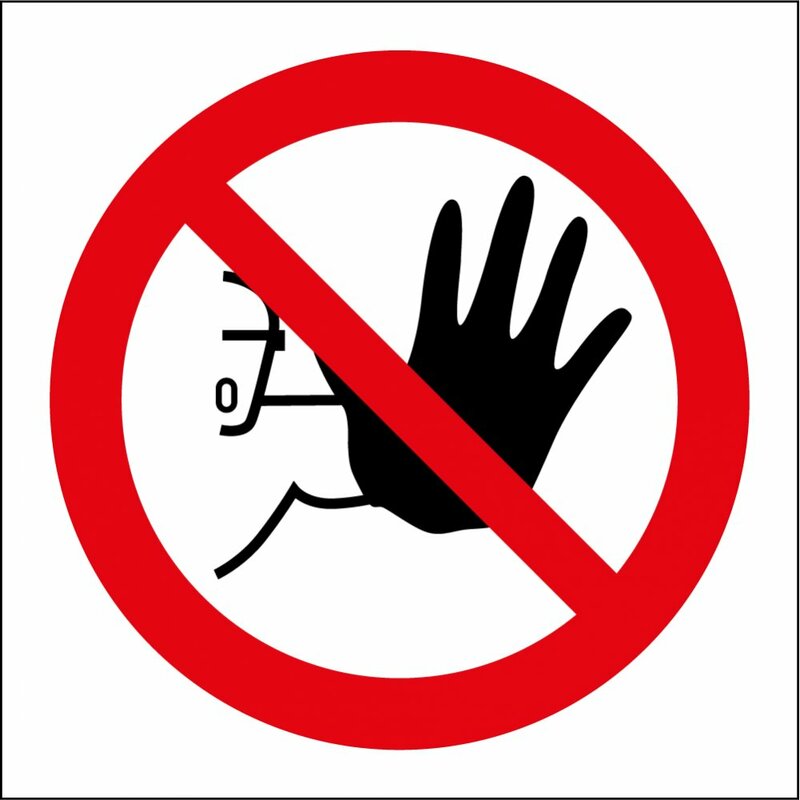 The issue with Deaf teaching sign is it is done without the 'hearing experience' which would make it effective, and who can bridge the issues of grammar, which the Deaf refuse to do! Any class would be held via a Terp defeating the point as hearing tend to gravitate to hearing. aka the terp. Successful deaf tuition would rely on deaf teachers having speech and wide knowledge of hearing people. You can't approach education from a remote standpoint when you are trying to address areas outside it. Note: you can not make deafies out of hearing people.... And deaf teachers lack the bilingual qualification to teach the awareness of ASL (Or BSL for that matter). For sign language or culture to carry to the mainstream you need the hearing input or it would deteriorate into activist lecture and seminar. Can deaf pass a teaching exam bilingually? Deaf aren't disabled, but the image certainly suggested she was and with a high level of dependency too. Wonder if she registered 'Legally Deaf' and claimed welfare as a disabled person...... or attended special education? Some deaf are disabled when they need to be! How deaf am I ? Labels: ATR, ATR UK, Deaf, how deaf am I? Reporting hate crime is an issue because it isn't clarified what exactly 'Hate' is, even who reports it and to whom. E.G. many local authorities/housing areas never recorded deaf hate and would only act on profile ethnic and black/gender areas. There was an emerging 'pecking order' of people being subject to hate by the system responding to populist imaging. We would prefer to see the police giving a full and detailed explanation as to the law regarding hate crime, as many deaf are stating it is being passed off as a 'misunderstanding' or the deaf are 'imagining' things. We also need DEAF people to understand that not everything that happens is Hate, and to avoid the current profile media bandwagons that label everyone and everything as hate-oriented.. Years ago ATR reported 3 cases of 'hate crime' in one south welsh area alone, and the appaling response by the police to it. Deaf had had homes attacking by arsonists, beaten up and robbed (Which the police said isn't hate crime), and one single deaf parent had to send her child away to her father for safety after being hounded by gangs of youths, which again the police said was not a hate crime and could not be brought to court anyway. Deaf people lost the will to complain. Police insisted the 'deaf' hadn't 'understood' properly, then when the deaf stuck to their guns and persisted with the complaint, they were advised to move away from the people hating them, even told to get medical notes to say they were depressed to get priority re-housing, leaving the haters with a win situation and the crime of hate neutralised. The Deaf still live in a vacuum to a large extent, their representatives or spokespeople are not an inclusive group either. The nature of deafness and sign is a unifying factor but also, a barrier to wider inclusions too. Trying to widen deaf horizons means ultra reliance on the sort of lifestyle that relies almost totally upon a visual language and its family/interpretation support, has to be addressed with regards to enabling the young deaf to move outward, they want the same as their hearing peers get and have a right to that. The insistence deafness is a choice, and the current communal lifestyle approaches are a right, ignores communication reality and is a lie. That certain activist promotion of community and culture is paramount and inclusive to all ignores demography too. We would agree that means a fair amount of pain involved to address Deaf and HoH child communication approaches and education etc which cultural deaf say is a direct assault on them because it suggests to them sign won't be the prominent communication approach. Bilingualism has to be real not suggested. It needs to reflect the reality it is older deaf who fear this because of their reliance on social workers deaf clubs/schools etc and would have issues with few if any other deaf keeping them going. That wheel is already in motion as most UK deaf clubs are against the wall already. Those that still manage to keep going rely on lottery and charity if not Local authority/disability handouts and tend to centralise to larger populated areas where statistically more deaf are. We think there is a middle ground and from the young deaf people I meet they view many activists as dated, a hindrance, and they are already out there, club closures are proof, there is less reliance on terps too. This is the postcode culture, cities tend to make most of the running because the numbers are there, but outside those areas, the deaf have little or nothing frankly. We don't see the culture then as inclusive but selective and exclusive. People deaf outside these areas don't believe an online community is the same thing they are still alone and feel pressured to move home. Because sign has isolated them. The financial aspect of culture often rears its ugly head and distorts the community ethos, unlike lip-reading, sign equals income, as many hearing areas have realised, its the basic of deaf cultural success. A number of abler deaf offer sign services but quite questionable awareness, as a way of self-employment, they aren't addressing independence or empowerment, although their area remains a captive one, uneasy lies that crown, and ultimately bias is involved. Because there are far from enough interpreters to support deaf people, the reality is that deaf need communication alternatives, this poses risks at modernists who encourage CI's, text approaches assistive devices, more hearing involvements, clinical intervention, etc.. they can be accused of an attack on the signing culture which is providing work for these few. Explaining reality deaf need to adapt is met with anger, why should they? 'We do not want to be third-rate hearies!' which is what nobody is suggesting, they are saying, deaf need more strings to their bow. Protests don't pay rents. It's unrealistic hearing people are all going to learn sign so deaf can integrate, or, that deaf WOULD integrate if they did. because the Deaf mantra is self-sustaining and lauding difference via distance. Interpreter training is having huge issues, not only of qualifying at huge own expense for the learner and a biased 'regional' adjudging system but the mainstream system addressing the wage and support set up, mostly via cuts. In reality so much deaf signed support is based on part-time workers, because free-lance interpreters won't adopt any norm, and are unwilling to operate that support in areas outside larger populations existing towns and cities, simply because it won't give them a regular wage. You can get 100s of deaf relying on just 2 or 3 terps, and activist opposition to remote translation. As regards to Deaf Culture and Art areas, they too focus almost entirely on major city areas, which means the only culture support and outlets are in those areas, it also allows a select area of Deaf people to call all the shots on access, empowerment, deaf art, cultural norms, health support, progress, and education. So many deaf are actually not part of it all. Those who don't sign, or deaf-blind, HoH, are ignored totally, so others access gets compromised too, and arts aren't for them either. The deaf arts area are the primary drivers of opposition to allowances for them to work which the state (UK), has put a cap on, many suggesting it is because Deaf arts was abusing the inclusive remit using culture as an out. Again this arts area is almost city exclusive and the domain for the few determined to go it alone and making issues and one trick ponies out of deaf actors. The response isn't more inclusion only demands deaf people should be the deaf actor because deaf actors lack the versatility to do anything else. So the only way to 'inclusion' is to insist on stereotyping? Not so much fake news, more another one-trick pony with a singular message repeated till our eyes bleed. Online areas for deaf operate predominantly within 'closed site' or charitable/disability areas, in reality nothing has changed since the old e-mail site days, which although originally created that way to protect vulnerable deaf and promote culture, now exist as a barrier to most, who may not agree with the more extreme cultural views being offered to them, and feel it oppressive, out of date, even restrictive in most part. The issue can be the more able and biased Deaf egotistical moderators running these sites, for own platform/views, plugging on provision, and is legendary with numerous deaf people claiming they are shouted down or banned for little or no reason other than they didn't agree with the site mantra, democracy for the deaf is at stake. They have an influx of snowflake contributors too! The postcard lottery places 'power' in the hands of the few/wrong people, people for whom self-interest drives progress, access, demand, cultural norms, and profit/Kudos for this 'Deaf' elite. My Life after hearing aids! Sign Language: Making a stand against hearing. Break open the bubbly lads! Deafness could be reversed, research suggests. Scientists have discovered how to regrow cells in the ear that are critical for hearing. Viruses, genetics and even existing drugs could trigger little hairs to regrow in the inner ear, according to a study by the University of Rochester. These hairs are the first step in picking up on noises and are not naturally replaced when killed off by age or overexposure to loud noise. Humans do not regenerate hair cells in the inner ear once they are lost, which leads to permanent hearing damage. These hair cells move in response to vibrations, which causes nerve impulses to be sent to the brain where they are interpreted as sounds. In other animals, however, such as birds, frogs and fish, surrounding cells in the inner ear, known as the cochlea, can change into hair cells. Although unclear exactly how this occurs, it is thought to be driven by protein signalling. Hearing loss can be temporary or permanent. It can also develop gradually with age or come on suddenly. Hearing loss in just one ear may be due to a build-up of wax, an infection or a burst eardrum. Sudden loss in both ears may be due to damage from a very loud noise or side effects of certain medication. A gradual hearing loss may be the result of fluid building up, known as glue ear; a bony growth, called otosclerosis; or skin cell accumulation, known as cholesteatoma. A gradual hearing loss in both ears is usually caused by ageing or exposure to loud noises over many years. Hearing loss sometimes gets better on its own. A build-up of wax can also be treated by being suctioned out or softened with drops. However, hearing loss can also be permanent, with treatment then focusing on making the most of the hearing that remains. 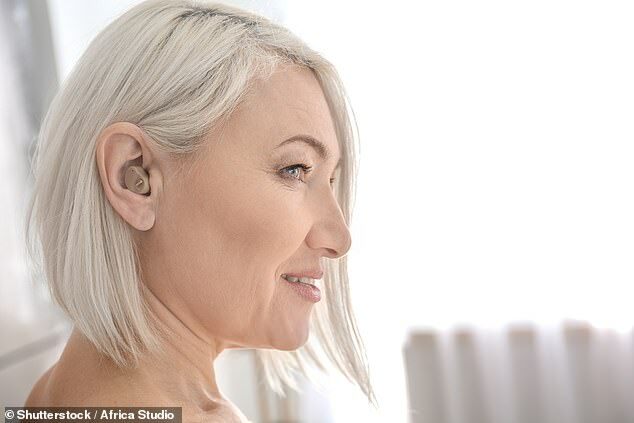 This may involve: Hearing aids Implants - attach to the skull or are placed deep in the ear if hearing aids are ineffective Communicating via sign language or lip reading Hearing loss can be prevented by avoiding loud music and wearing headphones that block out background noise. Ear defenders should also be worn if you work in a noisy environment, such as a building site. And ear protection should be worn at concerts and other noisy events. Source: NHS Choices The researchers analysed the effects of one of these proteins, known as ERBB2, in the hair cells of newborn mice. The article posed more questions than answers to ATR ! All the signs for success are looking good for Total Communication (Interpreting Services) Ltd at this year’s glitzy awards ceremony after the agency was put forward as the 2018 Stronger Together Employer by Karen Patten, disability employment adviser, at Reading Jobcentre Plus. This new accolade is for firms that help unemployed people (aged 25 or over) who need support to get into work or vocational training, or to move closer to either of these goals. Read More Jobs to be created as KPMG moves to Reading town centre Mrs Patten, 62, who awarded Total Communication, which is based in Cardiff Road, the Two Ticks disability symbol (now called Disability Confident) in 2013, said: “Total Communication is passionate about enabling and empowering deaf and deaf-blind people. “They do this both through the provision of high-quality British Sign Language (BSL) interpreters, lip-speakers and note-takers, advice and advocacy and form filling and by offering employment to deaf people in a supportive environment. 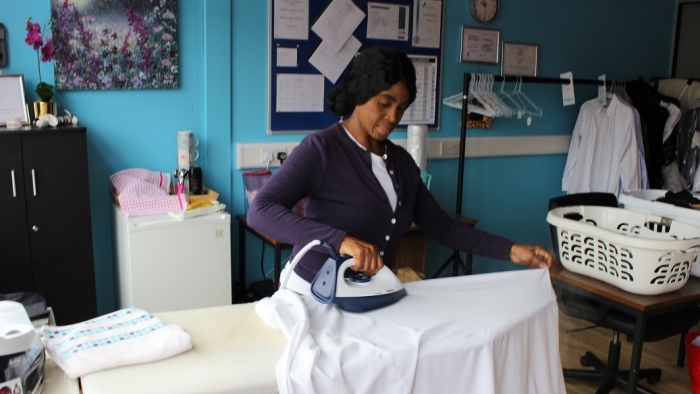 “They set up a local ironing service called DEAFinitely Creaseless, employing deaf people and giving them the opportunity to gain valuable experience in the workplace. 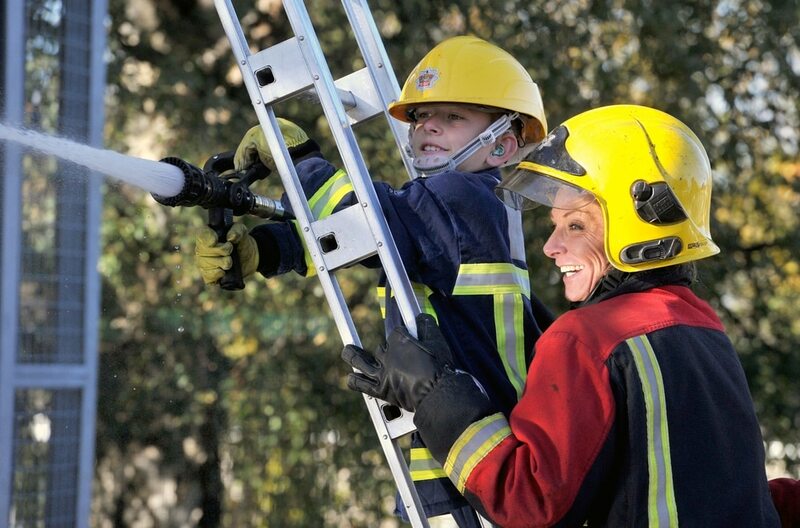 “They employed one of my deaf customers who lost her hearing at the age of six as the result of suffering severe burns in a house fire. "She is now 54 and started work for DEAFinitley Creaseless in October 2014. This was her first job and she excels at it. Sub Heading 'Adopting the position!' Another example of activism of the cultural variety convincing hearing people who we aren't. Deaf people can hear, can talk, a hearing person walking around playing the mute is the ultimate insult surely? Gallaudet's intake comprises of many with deafness and hearing loss, and whilst the majority do sign, they use many other means as well. Had she entered Gally as herself and spoke her way around, she would have got an entirely different view of deaf culture, or not, they may well have just ignored her! The real test is putting the hearing and deaf there on each other's terms and watch how the barriers are addressed via compromise. This instance the hearing did all the compromise, not a true test and promoting bias as well. Labels: ATR, ATR comment, Gallaudet. 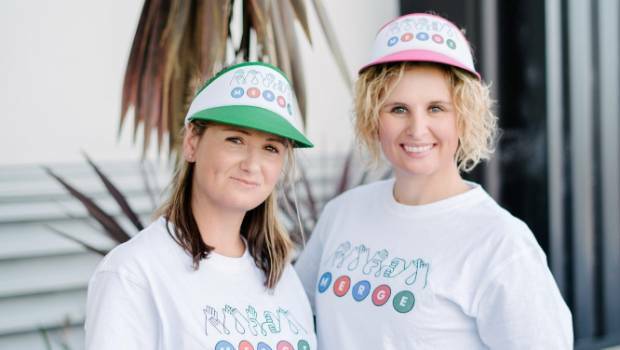 A social enterprise hoping to normalise New Zealand Sign Language is running its first course in Morrinsville. Hosted by Merge NZ, the course, taking place from November 5, has been designed for people with no prior knowledge of the language. Director Jaime Brown, a former Te Aroha native, is hopeful participants will walk away with the ability to string a couple of new sentences together. "There are 440,000 deaf or hard of hearing people in New Zealand and that's quite a large proportion. "Most people know how to say kia ora or kai or aroha, so it'd be great if we had that same affect with NZSL . If people could sign the basics, that would make a huge difference to deaf peoples access to society." Merge was established in Auckland two years ago and launched in the Waikato in 2018, where they have since organised courses in Hamilton. The Morrinsville course will be run by Te Aroha resident Hayley Jackson, a deaf woman training to become a qualified NZSL teacher. It will be a completely "voices off" course, Brown said. "There's a huge difference between NZSL and English. They have different grammatical structures so if you were to use your voice in the class, you'd kind of be using two really separate languages at the same time. So if you just work with the one language, you'd learn it a lot faster. "Voices are turned off and everything is completely in sign language from the very first lesson." Participants will be able to walk away knowing basic conversational sign language such as numbers, how to introduce themselves, how to introduce others, and discuss what they have learned. Brown said that although more people have become aware of NZSL , there was still an unfamiliarity of the history of sign language in New Zealand. "It really has a similar pathway to te reo; it was banned in New Zealand for over 100 years in the education system and that still has a roll-on effect to today. "There's also not much awareness that sign language is actually a language," she said. "It has a different grammatical structure to English and it's also not universal. There's over 230 sign languages around the world. "NZSL is really unique to New Zealand because it incorporates our culture and Māori signs as well." She is fortunate she doesn't live in the western world, most of her terminology would have her in the stocks and in total opposition to deaf cultural people. CI's are great but don't undermine the people who need them. More than 250 million people around the world are suffering from hearing loss and deafness. When it comes to Madhya Pradesh, 50-100 cochlear implants take place in a month. Against this, double the number of patients wait for their turn. After addressing an awareness programme at a local hospital, cochlear implant specialist Dr Shenal Kothari highlighted this concern while talking to media persons on Tuesday. She said it is a myth that cochlear can be implanted in children only. “We operate upon old people too to help them in hear well,” said Dr Kothari who has conducted the highest number of cochlear implants in the state. “I have treated a patient who complained of deafness at 50. After cochlear implant, she is living a normal life. Similarly, the implant of a 10-month old baby was also done,” Dr Kothari said. The best age for administering implant to a dead (?!) child is 2 to 4 years but can be done in adults at any age. Dr Kothari appealed to parents to see a doctor when their infants do not respond to their voice and call. We wonder how youtube selects particular images from videos of people with hearing loss that tends to focus on sign language users as the primary image when less than a 1,000 are sign dependent users out of half a million? Charities put the actual figure at 300K but having hearing loss and having issues of support and access are not really collated in Wales, neither are the statistics on sign use, we do know no deaf schools exist here. The program was an informative one about Welsh people with hearing loss and includes oral speaking deaf and cochlear implantees but not the text dependent, or real issues hard of hearing are facing. (Ben attends ATR's local deaf club, Hi Ben !). A visitor centre of a Shropshire-based charity dedicated to helping the deaf and those living with hearing loss will close its doors at the end of the month due to a lack of funds. The Hub which is based in the Riverside in Shrewsbury, will shut for good in a couple of weeks time. The Hub was entirely funded by donations which have not been sufficient to keep it open. Those clients who currently use the service will be told of other providers who can give support and advice and provide equipment maintenance. The Hub provided help and support and offered a range of services including hearing aid repairs, befriending and outreach work, deaf awareness training and British sign language classes. The Shropshire NHS Audiology team also visited three times a week to provide appointments to those concerned about their hearing. Better hearing is better than sign dependancy? Facts appear to prove the point. Jane R. Madell, a pediatric audiology consultant and speech-language pathologist in Brooklyn, wants every parent with a child born hearing-impaired to know that it is now possible for nearly all children with a severe hearing loss to learn to listen and speak as if their hearing were completely normal. With the appropriate hearing device and auditory training for children and their caregivers during the preschool years, even those born deaf “will have the ability to learn with their peers when they start school,” Madell said. “Eighty-five per cent of such children are successfully mainstreamed. Parents need to know that listening and spoken language is a possibility for their children.” Determined to get this message out to all who learn their children lack normal hearing, Madell and Irene Taylor Brodsky produced a documentary, “The Listening Project,” to demonstrate the enormous help available through modern hearing assists and auditory training. Among the “stars” in the film, all of whom grew up deaf or severely hearing-impaired, are Dr. Elizabeth Bonagura, an obstetrician-gynecologist and surgeon; Jake Spinowitz, a musician; Joanna Lippert, a medical social worker; and Amy Pollick, a psychologist. All started out with hearing aids that helped them learn to speak and understand spoken language. But now all have cochlear implants that, as Lippert put it, “really revolutionized my world” when, at age 11, she became the first preteenager to get a cochlear implant at New York University Medical Center. Pollick, 43 and deaf since birth, lives in Washington with her husband and two young children, all with normal hearing. Her deaf parents determined that she learn to speak, got her a hearing aid at 6 months along with years of auditory therapy. A graduate of New York’s prestigious Stuyvesant High School and Wesleyan University, Pollick was in graduate school researching primate vocalizations when she got a cochlear implant. Still, many deaf people resist the current technology and insist that children with a profound hearing loss should learn only sign language. They reject the idea that deafness needs to be corrected. But, as Madell points out, only 0.1 per cent of the population knows sign language, and 95 per cent of deaf children are born to hearing parents, who then have to spend a long time learning to sign, during a period when children are normally learning to speak. AI: How machines help us all? The only issue we can see is that AI will be programmed by the unintelligent. Personally what deaf person wants to spend time talking to a box of electronics? especially a USA one that has rather dubious knowledge of basic English... or the obscurity of signed 'English' grammar. Let's not even start regarding regional/national differences... The best use of technology would be to overcome hearing loss altogether. Artificial intelligence often leads to speculation about how machines may displace workers. Microsoft CEO Satya Nadella thinks we should talk more about how AI algorithms can expand the workforce now—by helping people with disabilities. 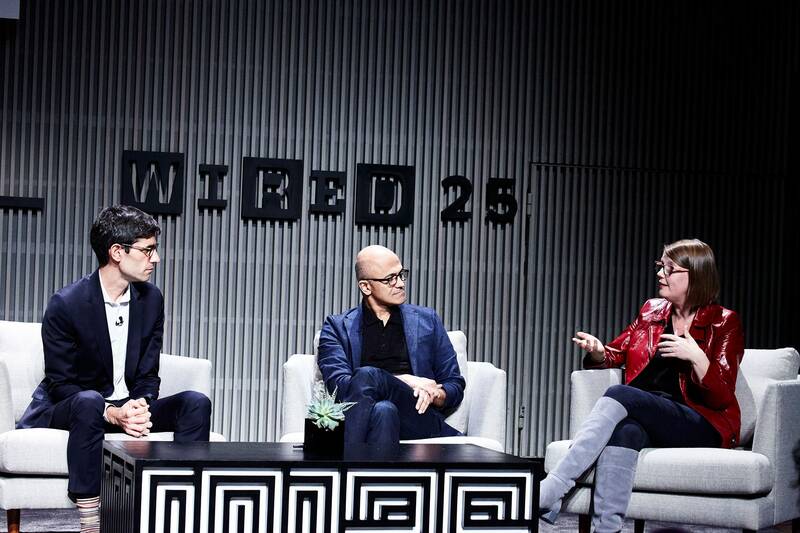 “There are a billion people in the world who don’t fully participate in our economies or societies,” Nadella said, at the WIRED25 Summit in San Francisco. “Technology can allow them to fully participate.” Nadella, a WIRED25 Icon, nominated Jenny Lay-Flurrie, Microsoft’s chief accessibility officer, as someone who will shape the next 25 years of technology. Lay-Flurrie was born hearing-impaired, and is now profoundly deaf. She described a Microsoft research project that created a plugin for PowerPoint that can automatically add closed captions during a presentation, by transcribing a speaker’s words. People in the audience can choose to see those captions in their language of choice, thanks to Microsoft’s automated translation technology. “Artificial intelligence is going to just open up so many doors to us all,” said Lay-Flurrie. She was accompanied by a sign language translator who helps her understand what people around her are saying, so that Lay-Flurrie can respond with her own voice. She said automatic captioning is one example of how AI technology could help more people into the workforce. Another is software that can translate sign language to help hearing and non-hearing people communicate more naturally, she said. The unemployment rate of people with disabilities is roughly twice that for the rest of the population, Lay-Flurrie said. Coming from an area of the world that leads the way in Cochlear Implantation. You won't find many who support deliberately disabling a child for 'cultural' reasons, it's on par with genital mutilation and such which are equally abominable. I want my child deaf because I am? Selfish. Of course, the factual, omission of CHOICE is reprehensible in this article. Parents don't choose disability as an option it occurs for many reasons and so far few cures in the womb for most. No parent wants a disabled child to satisfy someone else's lifestyles, they want the best for that child. Women all over the world (even deaf ones! ), take supplements and medical care to ensure lesser chances of a child being born disabled or ill. They are the ones who nurture and provide for it. It's hypocritical to state I want a deaf child, but I don't want a disabled one. If that 'best' is hearing they will go for it but no-one can offer that. This is all emotive not subjective. The propagation of deafness is an assault on the majority of hearing loss fighting its effects daily. Just so a minority of deaf can self-perpetuate their own experience. That doesn't suggest it is the best interests of the child at all. "There's great concern that eugenics has returned — by the back door," he says. "When pregnant women and their partners take up the option of prenatal testing, there is an inbuilt expectation that they'll end the pregnancy if Down syndrome is diagnosed. "The pressure is even greater on people who use IVF …some IVF clinics simply won't allow the implantation of an embryo with genetic abnormalities." The flipside of prenatal screening Prenatal screening may reduce disease and disability, but it also carries sinister implications. As Professor Rasko points out, the idealisation of a disease-free future implies a negative attitude towards people living today with Down syndrome and other genetic conditions. "Not all genetic disorders bring great suffering or hardship; some people even regard their genetic condition as an asset," he says. "For instance, not all people born with deafness consider themselves disabled — they're proud to be part of a deaf community, with its own language, culture and identity." Some IVF clinics will only implant embryos that "pass" genetic tests. It's for this reason, Professor Rasko says, that some members of the deaf community have demanded the right to use prenatal testing and IVF to select in favour of deafness. "They want their children to be like them — part of the deaf community," he explains. "They argue that, if those with hearing are allowed to discard 'deaf embryos', then they should be allowed to discard 'hearing embryos'. "What strikes me is that these deaf activists aren't trying to shut the eugenics 'backdoor', so much as make it swing in the other direction." 8 tools to reduce the stigma of hearing loss. Tool #1: Take responsibility for your hearing loss. Accept your hearing loss and resist the urge to deny it. In most cases, your hearing loss is not the secret you think it is. Commit to wearing your hearing aids or cochlear implant(s) every day to hear better. Visit your audiologist for adjustments to ensure that your devices are working well. Tool #2: Create and adopt new messages about your hearing loss. Get a better understanding of how internal and/or external stigma manifests in your life. Determine which voices in your head belong to you—and which ones belong to other people. Focus on what you can control. If you feel “less” because of your hearing loss, alter the message that you tell yourself by changing “I can't” statements to “I can.” Accept that the hearing loss is one part of you but it's not all of who you are. Tool #3: Make a list of difficult listening situations. Reflect on each day of the week and make a list of challenging listening situations organized by home, work, and public places. Be specific and note what you're feeling—-uncomfortable, vulnerable, embarrassed, or ashamed. If a situation triggers an unhappy memory from the past, add the memory to your list. Tool #4: Plan how to talk about your hearing loss. If your hearing aid or cochlear implant is visible, your hearing loss is probably not a secret. If your device is not visible, other people such as your family, friends, and co-workers might not know about your challenges with hearing clearly. In either situation, it takes courage to accept your hearing loss and no small amount of bravery to talk about it. Plan what you want to say. Consider practising out loud with someone you trust. Tool #5: Ask for accommodations. Technology is ever-changing. Educate yourself about the range of assistive listening devices so that you can identify and request the appropriate technology and accommodations that you need. People in your life may not know what is available or appropriate for your condition. Become the expert, then ask. Learn about not only technical solutions but also non-technical strategies like note-taking buddies at work. Tool #6: Communicate effectively and comfortably. How you handle your hearing loss will have a direct impact on the people you closely and regularly interact with. Teach the people in your life how to best communicate with you so that you can hear clearly. For example, remind them to face you when they speak. Your hearing difficulties can be as new and challenging for them as they are for you. Ask speakers to repeat their point in a different way. Remember that humour goes a long way to increase comfort for everyone. Tool #7: Set realistic and meaningful goals. Living well with hearing loss requires change and adaptability. Change happens slowly and requires commitment. Don't take on more than is reasonable and consider your other responsibilities. However, make a commitment to a meaningful and achievable goal to reduce the effects of stigma on your life. Tool #8: Connect with other people with hearing loss. The challenges of living with hearing loss and ways to overcome them are known best by those who live with it. Consider participating in online forums and connecting with local hearing loss advocacy groups and events to meet people who “get it” (e.g., AG Bell Association for the Deaf and Hard of Hearing, Association of Late-Deafened Adults, Hands & Voices, Hearing Health Foundation, and Hearing Loss Association of America, among others). Engaging in these communities and events can help you be yourself and learn from others who understand the impact of living with hearing loss. The end of deaf sport too? UK's welfare arm the DWP, to penalise deaf and disabled who participate in sports because it suggests they aren't needing welfare. We know at the London Olympics, DWP staff were photographing/recording Paralympian participators to see if they could withdraw support to them. What price Deaflympics? Did you sign it? Or not? Discussion on the UK's AOHL site regarding concerns many charities are signing non-critical clauses of state welfare decisions and Ministers, [The 'gagging clause], allegedly to avoid the state cutting their funding, blackmail. Today the majority of UK charities are being coy about declaring one way or the other. The AOHL were asked DID they sign such a clause too? "Action on Hearing Loss is a successful campaigning charity and we’ve never had any difficulty in terms of anyone stipulating what we can and cannot say or do in terms of our policy positions and activities. As the largest charity in the UK working for those with deafness, tinnitus and hearing loss, we are committed to representing our beneficiaries and supporters in the most effective way possible to stakeholders across society – including all government departments. We consider it a vital part of our role to hold those in power to account on behalf of the 11 million people in the UK with some form of hearing loss. For example, when a cap was introduced by the DWP on Access to Work funding – something that would disproportionately affect British Sign Language users - Action on Hearing Loss not only vocally opposed this measure, but worked effectively with other stakeholders and the DWP to have the cap significantly raised." "But has AOHL signed a no criticism clause? We still feel you are too close to the corridors of power to remain forefront in attacking state policies towards the deaf and Hard of hearing, We want to see cooperation withdrawn by AOHL from the systems that assault our disablement. 1,000s have lost support and financial aid, and many have the fact they can't hear called into question daily. We tend to look at the UK's largest hearing loss charity to be prominent in snapping at the heels of politicians and the state who are attacking us daily with no comeback. I'd like to see AOHL drop the 'support' angle and become a champion of our rights instead. I do think ear wax and hearing aid batteries are an irrelevance in the scheme of things. As it stands it is a self-perpetuating reliance in operation and trivialising the real cause of the issue. Our support is a legal right, it doesn't need charity to underpin it, we want charities more proactive in putting our case. training professionals in advance, and utilising legal power to fight back. If AOHL can't or won't do it, we are lost because as individuals we cannot succeed. The AtW area was/is a shambles whereby it costs 3 times a paid wage to actually do part-time work and it appears the main claimants are just a few lucky people in the (BSL) arts areas. A new way of empowering deaf and HoH to work is needed. As AOHL said itself employers and co-staff alike treat us like village idiots. We are under assault from many directions and it needs the UK's largest charity to stand up and say enough is enough. It's NOT enough to add your name to someone's petition etc, you have to lead. Anyone can sign a petition and anyone can say we empathise, but that alone does not mean anything actually happens. It's the lazy way to avoid standing up to be counted." Deaf Children: Look who's talking too! These inspirational children defied the odds by learning how to speak after being diagnosed as profoundly deaf when they were just a few weeks old. Four-year-old Mia Basma-Saffiedine, from Barnet, and eight-year-old Hope Dennis, from Primrose Hill, were both diagnosed as deaf when they were less than a month old. Hope, who in 2011 became one of the youngest babies to undergo bilateral cochlear implant surgery at just nine months old, was diagnosed three weeks after her birth. When Silvana Kasi was 12 and an up-and-coming ballet dancer, she used to engage in a unique ritual before she danced. She would ask a friend to tap her on the shoulder when it was her turn to dance onto the stage for her solo. A violinist would also begin playing, signalling her to dance onto the stage. Trouble is, she couldn’t hear it. Once she was actually dancing, she didn’t have trouble hearing the entire orchestra. Her ear problems date back to when she was 9-years-old and had surgery on her right ear. Kasi had repeated ear infections as a child living in Albania. The result of her surgery was “devastating,” she says. The operation restored her eardrum but two weeks after surgery, her hearing was worse than pre-surgery. She explains these events in a matter-of-fact way. “My parents didn’t have a choice. Two or three times a year I had an ear infection." Getting tubes inserted, one possible treatment for North American children with reoccurring ear infections today, wasn’t an available treatment at that time, she said. Astellas Pharma Canada gives back to the community She became increasingly aware of the taboo associated with having a physical disability. “I didn’t want to be called deaf.” When she and her husband were first married, even her own husband didn’t even realize she had a hearing problem. It took her mother-in-law to point it out to him. The woman had noticed she would sometimes call Kasi from behind and she wouldn’t hear her. 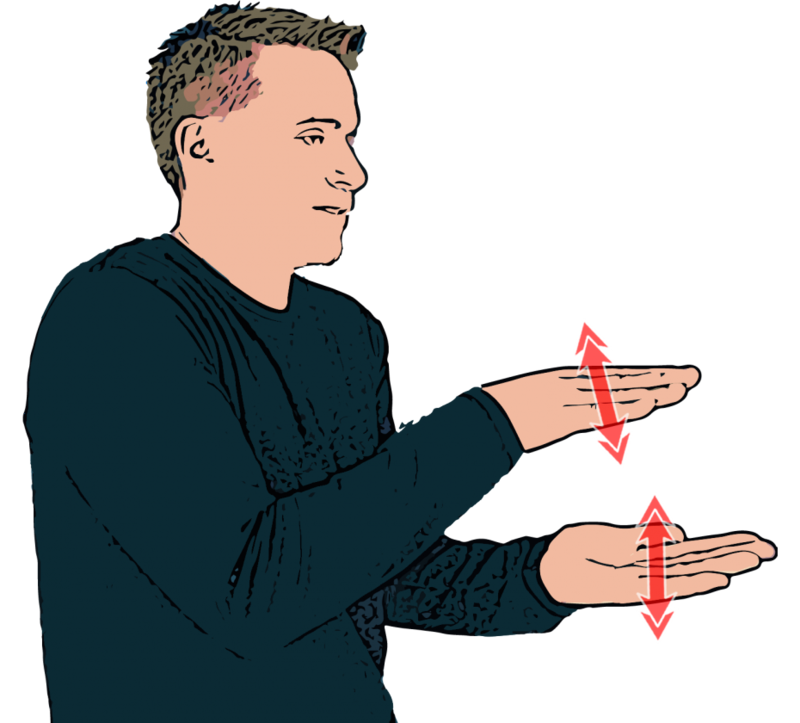 Should pharmacists learn British Sign Language? Erm, HoH too! Technically the UK state encourages all BUT those with hearing loss to use pharmacists as a consultation area for 'low level' health issues like colds etc, and issues of using tablets and medications that may clash. But the legal reality, is they are prevented from actually doing a diagnosis, the BMA states they aren't qualified to do that. The inclusion in many pharmacies of hearing loops for aid users is as far as Pharmacies went because when challenged to provide signed support as the state told them to do, no one could sign or was willing to pay for it, and most don't switch loops on. At the UK's largest one (BOOTS) and they said although they DID advertise access for sign users, they relied on staff who had attended taster sign sessions, and, she had left their employ 3 months ago.... After we left they removed the posters stating they were BSL accessible. The problem we have with this item is no one is mentioning access for those who don 't sign and cannot benefit from a loop, deaf-blind need not apply. So what's new? Learn a bit of finger spelling? Saffah Huseeba Danial is a second-year pharmacy student at the University of Lincoln. Have you ever wondered if sign language is communicated the same universally? I have — so I decided to delve further into the subject by booking a British Sign Language (BSL) taster session organised by the careers and employability department at my university. The session was delivered by someone who had lost their ability to hear after contracting meningitis as a young child. There were around 15 students in the session. I was the only pharmacy student; most of the others were studying psychology. I felt very excited to participate in such a rare opportunity, but I also wondered how people like me, with no previous experience with BSL, would be able to understand a session delivered in sign language. My query was resolved a short moment later: the teacher was accompanied by a translator so that we newcomers could understand. First, we were taught each of us what our names were in BSL. As the session progressed, I learnt that not only are there different versions of sign language around the world, but also different dialects of sign language in the United Kingdom. We studied the alphabet, how to tell the time and common phrases. I also discovered some of the many struggles that deaf people regularly encounter, such as people shouting in frustration and being impatient. However, I came to realise that something that is quite upsetting for the vast majority of deaf people is when someone gives up attempting to communicate altogether and walks away. We also learned that some signs in BSL would be considered profanities by the general public, regardless of the fact that the signs mean something completely ordinary in BSL, and are not profane at all. This was one of the points that I felt the need to raise awareness about. The session was by far the most interactive session I have ever experienced and I learnt a great deal about a subject I previously knew nothing about. After the session concluded and many questions had been answered, I began to ponder how my learning could be applied to the practice of pharmacy. Charity News. Quit the teasing? Sometimes we have to despair at charitable attempts to lobby on our behalf. This week the UK's largest hearing loss charity did yet another campaign about deaf (Not HoH? ), people being teased and mocked in the workplace and elsewhere, which I am, sure is non-news to 99% of us who are at the cutting face of it all. UK charity's reluctance to actually take employers, joe public, or the state on for contributing to it, hate crimes, and even contributing to many premature deaths of deaf and disabled, suggests that after 107 years in existence they need to get a grip or give it up entirely. Grassroots are fed up of constant repeats of old campaigns stating the obvious but with no actions being taken to address them, while state mouthpieces on disability relentless attack us on a daily basis. Even deaf bloggers and activists are stuck records on repeat ad infinitum even supporting charity non-events like this one. Not a single campaign of awareness has succeeded in years for the HoH, and with the rise of cultural attitudes what there is, is bias. It would be sad if it wasn't for the fact Deaf BSL members left this charity for dissing BSL and sacking its one and only BSL CEO years ago, because rank and file believed him unable to relfect issues of hearing loss, after that CEO left out 90% of the charity membership to concentrate on sign users instead. They ended up handing him his P45. Charity is dead, yet we still see some deaf and HoH bloggers plugging their wares, mainly because leaders and groups have lost out to the net. Anyone with half an eye (Or ear!) can see that the 'Deaf' charity campaigns take the usual opportunist stance of turning the whole thing into an anti-Deaf one, instantly burying the reality of the hard of hearing suffering the same and indeed, more discriminations than they endure. Each HoH campaign is a free gift to the BSL one, as media immediately seeks out the sole image of hearing loss ...... the BSL user, to front that awareness. The only time we SEE the Deaf at hearing loss charities it is to complain they aren't included, and the HoH complaining their image is an old fart with a hand cupped to their ear. talking about the 'real' issues of ear wax removal and how to put batteries in their aids. We have near 10m doing this for goodness sake. People are teasing us, employers won't give us jobs, welfare agencies say we are a con act, all deaf sign, stand in plain view and orate clearly, yadda yadda, get a bloody grip we KNOW! What we don't see is any change. ATR has been lobbying 47 years and the record needs changing or we just accept nothing is going to change, and hide away in full view on the net, and pretend it is still all happening for us, as clubs, and deaf schools close around us all and educational access a system of haves and have-nots. There are whole areas in the UK that don't have a single club or school, and when did anyone last see the Deaf join a charity? They deserted their own BSL ones as soon as they got a mobile phone. By far the glaring omissions in all campaigns for access is the reality only we can make it work, not a campaign. We could suggest sitting there demanding everyone else complies to you is a complete waste of time. Assuming the fact we are on a permanent fringe of everything and expecting others will adjust is pie in the sky thinking, especially and given the cultural areas prefers the fringe as this gives them both profile and edge and opposed to inclusion unless it keeps them apart! Both sides of the hearing loss spectrum heading in different directions paying some sort of lip-service to each to avoid direct confrontation on the access and equality issues. Google: New automatic caption options. Crowdfunding helps deaf boy to hear again. Set up own hearing aids. 85% of deaf/HoH can listen and speak. Deaf boy beaten up by gang of 6. What hearing aids can/can't do. Miss the word, miss the point. Health support for Deaf and HoH ignored.